Cereal is a simple, quick breakfast that many people enjoy every morning. It requires limited preparation and no cooking, so cereal can be eaten even on the busiest mornings. Kids also love eating cereal. 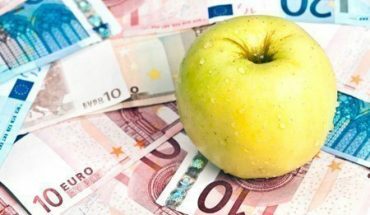 Unfortunately, boxes of cereal can be expensive, so if you eat it on the regular basis, you will be thrilled to find savings. One of the most popular cereals, Cheerios, can be purchased at a discounted price with coupons. Here are several ideas for finding Cheerios coupons online. The first place to look for coupons on Cheerios products is Coupons.com, a website entirely dedicated to providing consumers with coupons and discounts for a wide variety of products sold by hundreds of retail outlets worldwide. 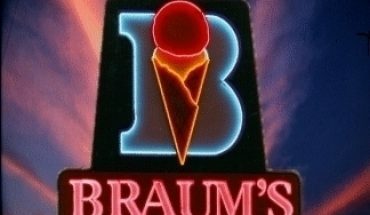 Coupons.com has coupons for food items, lawn equipment, household appliances, cleaning supplies, toiletries, furniture, electronics, and much more. 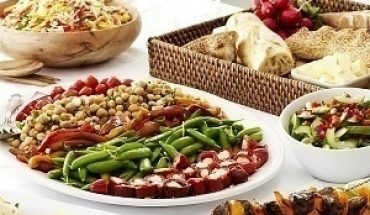 When you are creating your menu plan or shopping list, visit Coupons.com for the latest deals on cereals and other grocery products. 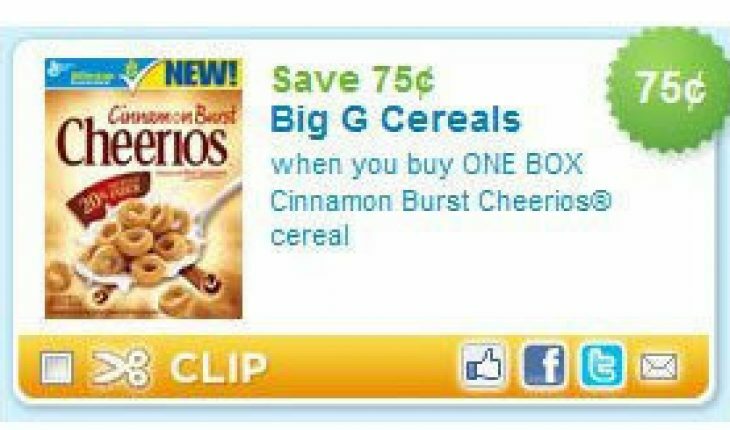 Cheerios coupons are frequently featured on the site, so you can save big every time you buy Cheerios. Like Coupons.com, the Grocery Guide is devoted to providing consumers with coupons and discounts for goods that are purchased on a regular basis. However, while Coupons.com provides consumers with coupons for a wide variety of products, the Grocery Guide specializes in food items, such as Cheerios, and focuses on informing consumers about discounts, sales, and other promotions offered by several leading brands and grocery stores. Like Coupons.com and the Grocery Guide, RetailMeNot is a website entirely dedicated to providing consumers with coupons, discounts, and other special offers. Unlike these websites, however, RetailMeNot shows consumers the success rate other consumers have had with each coupon or discount that it offers. This allows you to determine if a coupon is even worth printing. Most of the time, expired coupons are listed on the site and the success rate is very low. 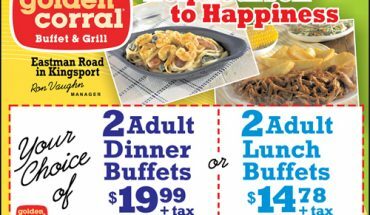 The good news is new coupons are posted to the site on the regular basis, so you are likely to find a discount of some kind on cereal and other items. 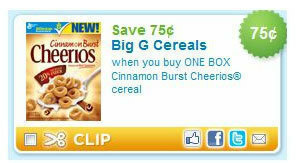 In addition to these other resources, Cheerios often features coupons on its Facebook and Twitter pages. Those who “follow” or “friend” their favorite cereals will be alerted when there are sales or coupons available. This savings is offered to only those who participate in Cheerios’ social networking program. All that is required is a visit to either of the social network sites and a quick click on the link for Cheerios. You will receive frequent updates on your page about health benefits, recipes, and sales events involving Cheerios. If you really love cereal, this is a great way to earn extra savings on the products you buy.